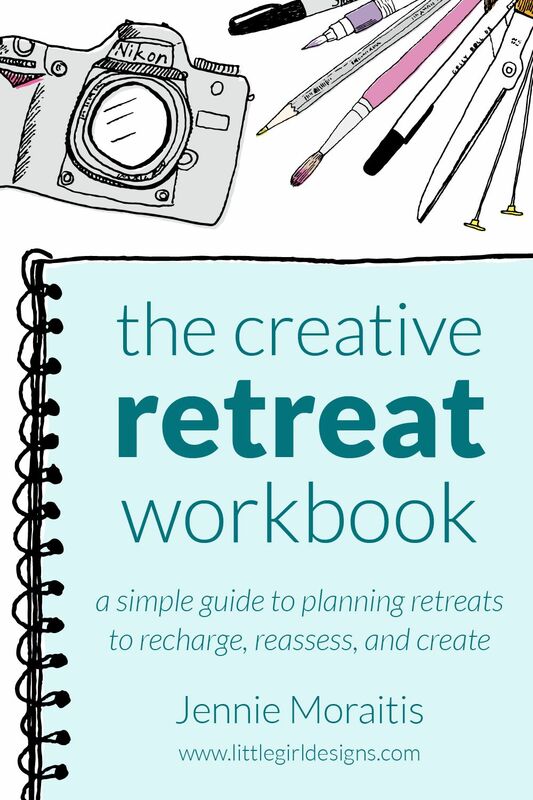 The Creative Retreat workbook is a simple guide to planning personal retreats to refresh, reassess, and create. 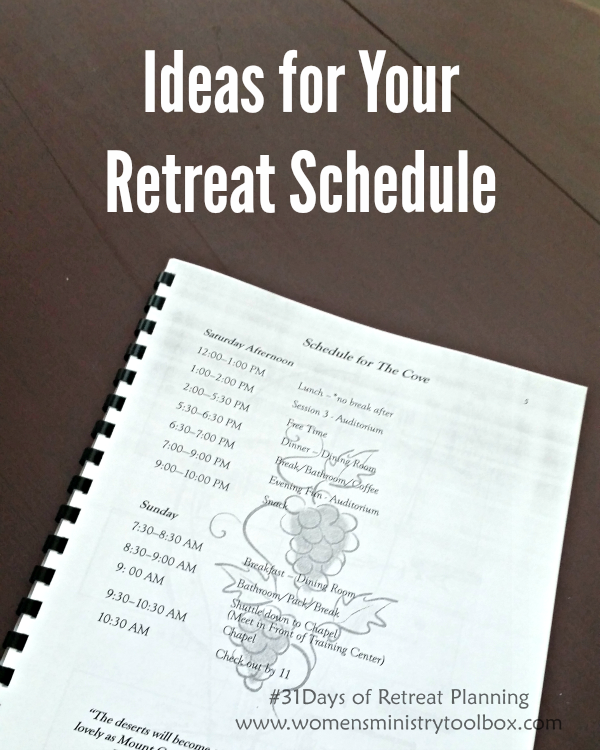 Day 12 – Ideas for Your Retreat Schedule - I'm sharing actual women's ministry retreat schedules to help you plan. 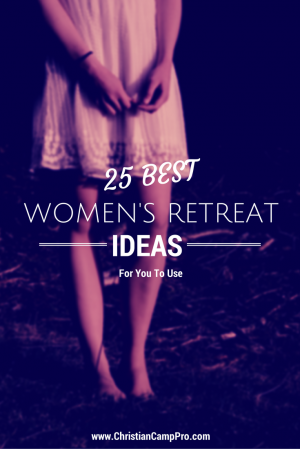 Check them out at www.womensministrytoolbox.com . 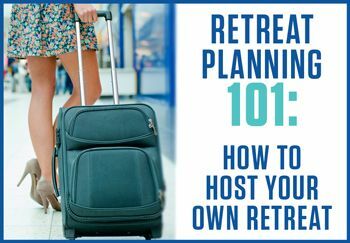 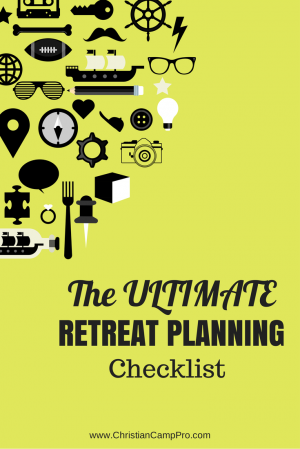 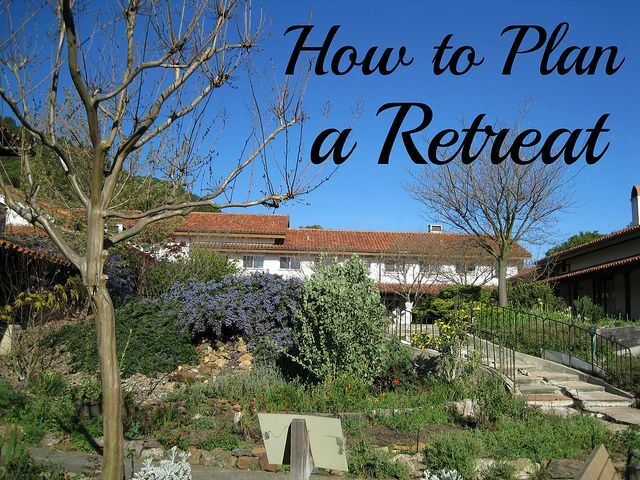 How to Host Your Own Retreat - great ideas for any business owner looking to give their clients a chance to spend some focused time with you and other like-minded souls.